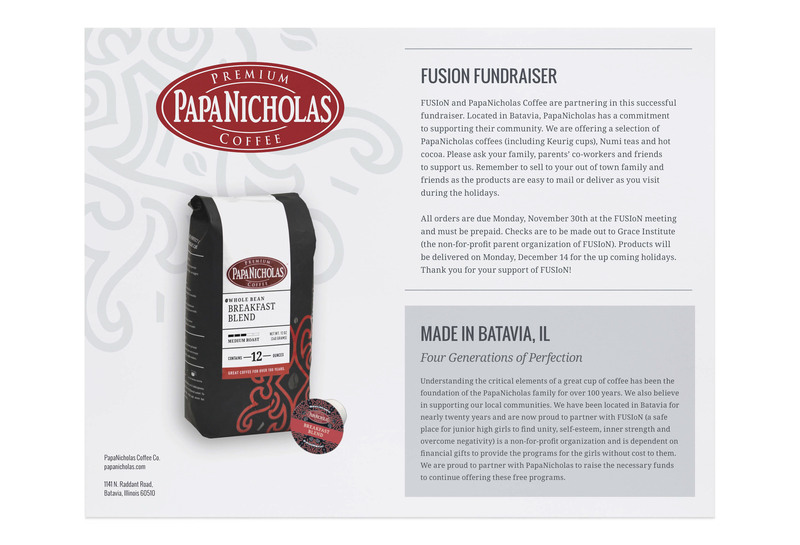 This is a redesign of fundraiser pamphlets made for a series of elementary schools that partner with PapaNicholas coffee for their school fundraiser. 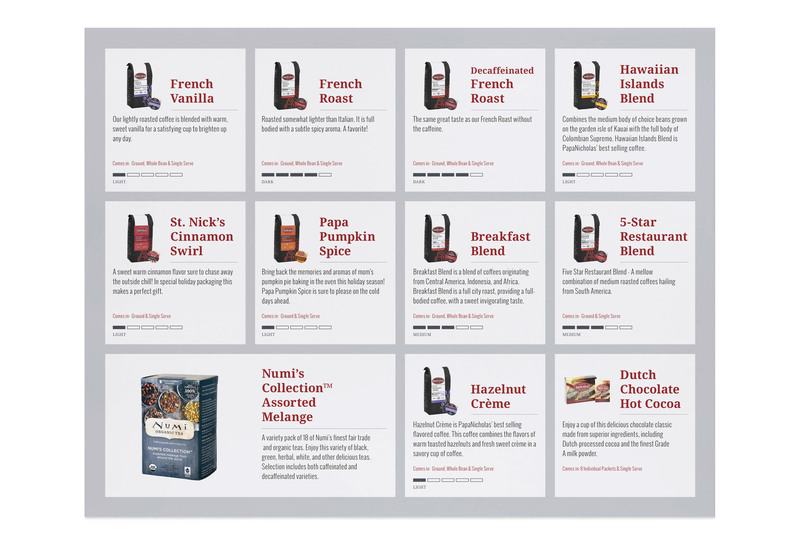 In some cases the schools would have a custom bag of coffee made that featured their own school’s logo on it. 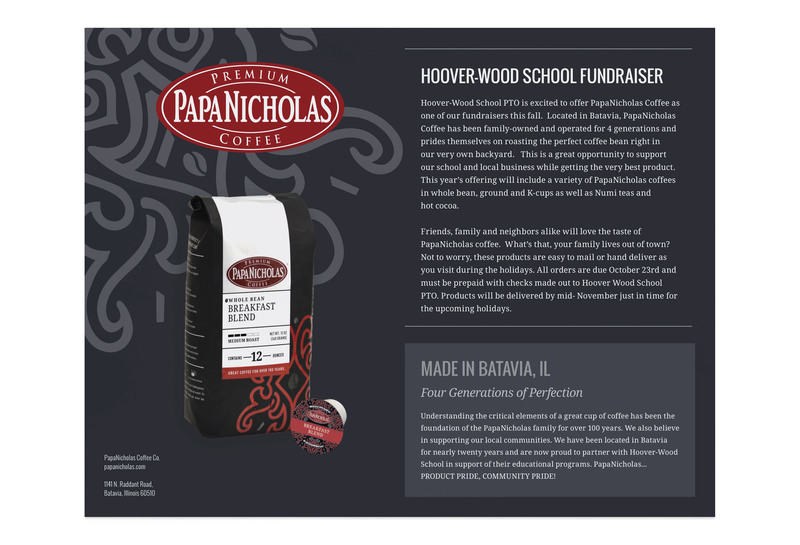 With that thought in mind, I designed the new cover for the fundraiser to pay tribute to the custom bag of coffee by surrounding it with the most white space. 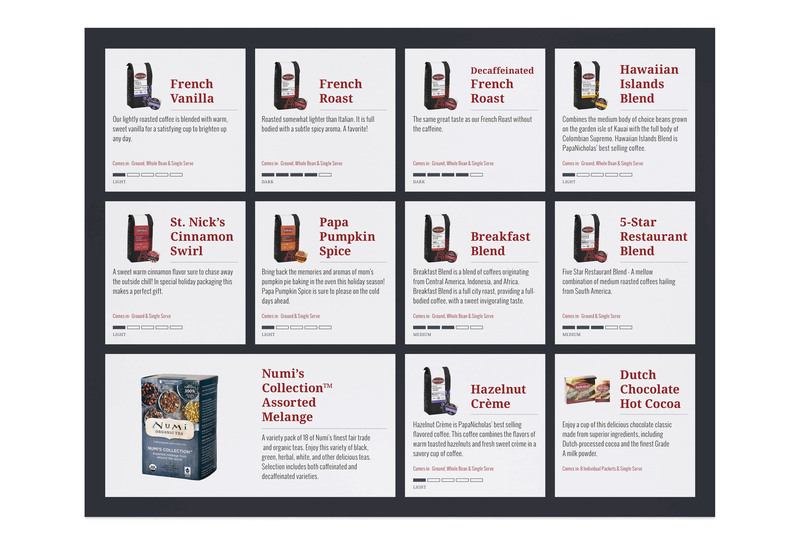 I also chose to utilize one of the graphics seen on the PapaNicholas bags of coffee, and enlarge it in the background as somewhat of watermark element that helps provide depth to the design. There are two color options for the pamphlet based on the school’s preference. 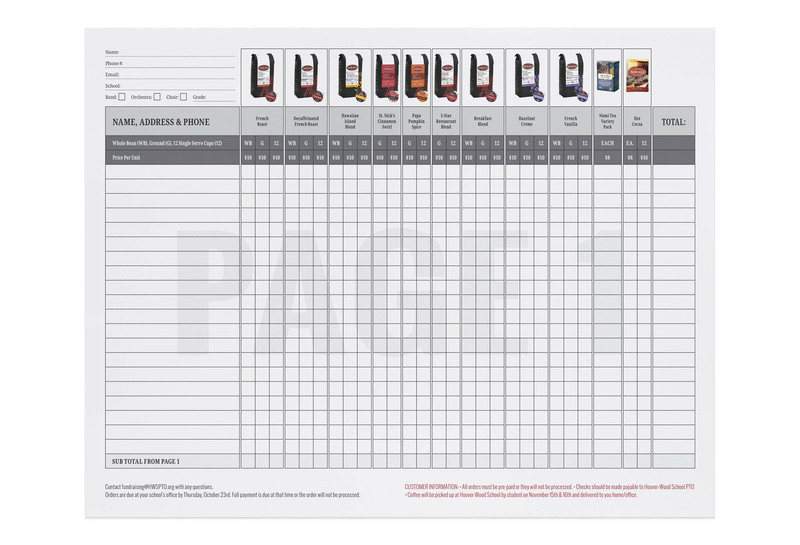 These pamphlets were created while at Frey Design.